The Chairman of the Board of Trustees of the Arewa Consultative Forum, Lt.Gen Jeremiah Useni (retd. 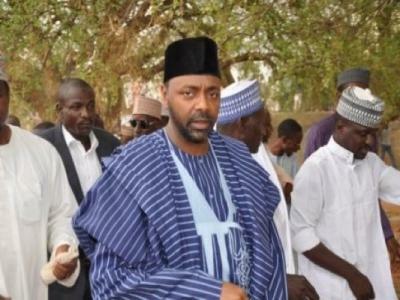 ), has said that former military dictator, General Sani Abacha was not responsible for the billions of dollars looted from the Federal Treasury during his regime. Useni who was a top member of Abacha’s government and who is described as Abacha’s closest confidant instead blamed the looting on Abacha’s son, Mohammed. How did you feel working with a military dictator like Gen. Sani Abacha, who many believe was the most ruthless of all dictators? He wasn’t a military dictator; that was the word coined by you, newspaper people. You will agree with me that today, many people would like to have Abacha back. He was a good administrator. When you talk of accountability, Abacha had it; when you talk about holding the nation to his heart, Abacha had it. How much was a dollar during his time? You would talk of N70 to N80; how much is it today? No discipline. When people say dictator, of course, every military man by nature is, you could say so. I know why Nigerians are saying so; they say he was a dictator because he was not democratically elected, that is all, but not that he acted as a dictator. It is Obasanjo who started painting Abacha like a bad guy. How many did Abacha kill? So, people are not looking at that. They never said this was the money found in Abacha’s account. It was his boys, his children, they never said they found money in Abacha’s account, they were talking of Mohammed (Abacha). You mean Abacha didn’t have any hand in those stolen funds? Not to my knowledge. You see, if my son steals, it doesn’t mean because I’m the father, I automatically have a hand in it. They are mentioning Mohammed Abacha and associates. Recently, I heard they are re-opening the case. Are you saying Abacha was not corrupt? It depends on the interpretation; every Nigerian is corrupt. If you are talking of corruption generally, every Nigerian is corrupt. But when somebody is found guilty of an offence, or of corruption, if he is charged to court and found guilty, then it will be on record; otherwise, it’s all accusation, allegations. What you people have been writing about; that I have $900m, £800m; I have so-and-so overseas; who has recovered a penny? People can also say I’m corrupt because of those publications. But, one has to be found guilty before you can say a person is corrupt. Are you absolving yourself of the corruption in the Abacha government? To the best of my knowledge, compared to what we saw later, Abacha did nothing. What they accuse Abacha of is nothing compared to what we saw later. Of course, I don’t speak for him, but I was a part of that government. I don’t have the same bank account with him, but as a part of that government, I know that the man was very careful with spending government money and that was why he set up the Petroleum Trust Fund and we all know the usefulness of that fund. You can still see the signboards of the boreholes, which were done by that fund in many remote villages. Since the name was changed, do you hear anything about it again? That is why he appointed somebody like (Gen. Muhammadu) Buhari (retd) to head the fund, somebody who is careful with government money. Buhari would have left the fund if Abacha had interfered with him. These are some of the things we don’t look at it. Because you hate somebody, you give the person a bad name just to hang him. But history will vindicate Abacha, people are already saying it. People were demonstrating in Lagos after Abacha’s regime and they sent the soldiers to stop it. So I said, ‘Look, even during Abacha, they never stopped demonstration, and this is a democratic period.’ I don’t understand why they should stop demonstrators. You know Wole Soyinka was one of those condemning it, he was forced to speak because he was seeing reality.